A new way to . Panacea was created with patients’ health and well being as our priority. Our mission is to bring together the best minds in business, science, medicine, research, finance, and agriculture to create a global platform for the reintroduction of Hemp-based therapeutics into the mainstream of healthcare. We research, produce, and partner to distribute products that are designed to target and treat seven major categories of medical conditions. Creating a patient-centric alternative to the low efficacy and the high side effects of conventional pharmaceuticals, including opiate-based painkillers, TNF-inhibitors, anti-inflammatories, biologic medications, antidepressants, and sleep medications. Leslie Buttorff is the CEO of Panacea Life Sciences, Inc. She has over 30 years of experience in management, start-ups, marketing, consulting, technical evaluations, and financial analyses. Her experience has been focused on strategic planning and operations improvement. She has worked in the energy, government, telecom, banking, medical, advertising and transportation industries. Ms. Buttorff is also the CEO of Quintel-MC, Inc. a consulting firm that specializes in SAP ERP implementations. Prior to Quintel, she was a Vice President and Officer for the Utilities and Energy Practice of A.T. Kearney, Inc. Prior to A.T. Kearney, she was the Global President of EDS’ (acquired by HP) Energy and Chemical Divisions and prior to joining EDS, she was a Vice President and Denver Office Manager for Stone & Webster, an engineering company. She is also on the Board of two Colorado start-up companies: Active Youth Network in Littleton, CO and JobZology in Ft. Collins, CO. She has a BS in Statistics from Colorado State University and a MS degree in Industrial Engineering and Finance from Iowa State University. 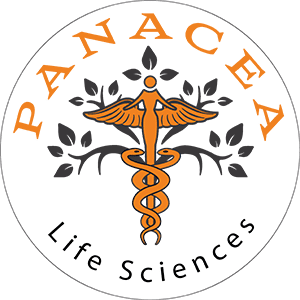 James (Jamie) Baumgartner was appointed President of Panacea Life Sciences in 2017. Jamie has had a lifelong passion for bringing novel treatments to patients in need. Jamie holds a Bachelor of Science in Biochemistry from the UC, Davis and a Ph.D. in Biochemistry and Pharmacology from Washington State University. He is an innovative business leader who combines his acute business acumen with his broad scientific excellence. His expertise in drug discovery and development has led to him assisting over 700 biotechnology and pharmaceutical companies reach unparalleled levels of success, especially in the area of advancing projects to IND filing. He adds over 25 years of drug discovery experience to Panacea Life and reinforces the company’s commitment to its foundation in scientific research and development in the healthcare and biotech industries.